The second annual Too Many Cooks collaboration dinner is scheduled for December 2, 2018. Proceeds will go towards the Bissell Centre’s community kitchen. 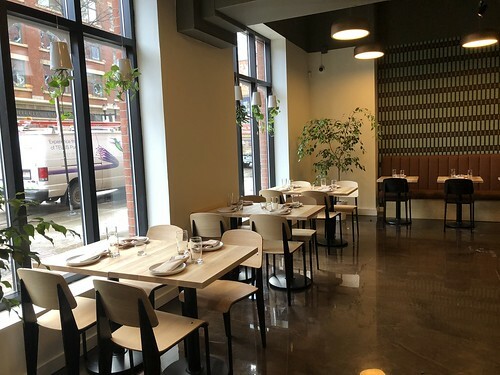 Tickets for the 12-course drink paired dinner are $200, and features a dozen different chefs from some of the city’s best restaurants, including Baijiu, Biera, RGE RD, and XIX Nineteen. Bloom, known for their vegan cookies sold at a number of farmers’ markets in the city, are finally ready to open their storefront bakery! Find them at 10350 124 Street. Although the official opening date is November 20, their soft opening is taking place on November 17, 2018 from 12-5pm. November 15, 2018 update: unfortunately, Bloom has had to delay their opening. Liane has more information about the new north side location of Louisiana Purchase that opened up earlier this fall. Vue shares the story behind OEB’s first location in Edmonton. Twyla enjoyed the steaks at DOSC but expected better from the rest of the menu. Graham was hoping for more from Buok Fresh Korean Kitchen. Crystal wasn’t wowed by the vegan buns from Cinnaholic. Also from Crystal, she recapped the most recent “gourmai dumpling pop-up” hosted by MasterChef Canada finalist Mai Nguyen. Congratulations to Russell Bird (from Sherwood Park) who placed third in the ribs category at the World Food Championships! Twyla has a list of all of the locations where you can purchase her biography of Gail Hall titled Maps, Markets, and Matzo Ball Soup. If you’re looking for Christmas gift ideas, Linda has a great one – a do-it-yourself beer advent calendar. Aarde, advertising its vegetable-forward cuisine with Dutch influences, opened last week at 10184 104 Street. Leduc previewed what to expect. Mack and I were fortunate to spend part of last week in Kananaskis. On the way down, we stopped for lunch at one of our favourite places – the Simmons Building in Calgary. 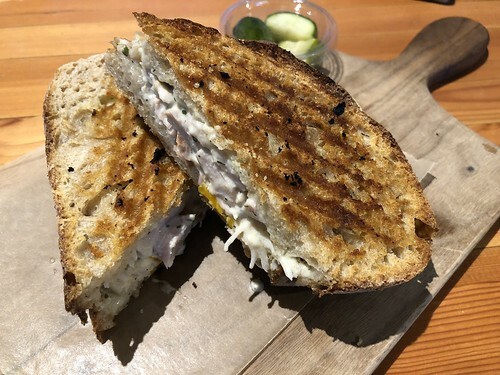 We grabbed some sandwiches from Sidewalk Citizen, where I am never disappointed.